** Each driver was pulled from custom Sub Bins, tested and certified by our Factory-Authorized Warranty Service Dept. Comes w/ 4x Mounting Flanges & screws each. 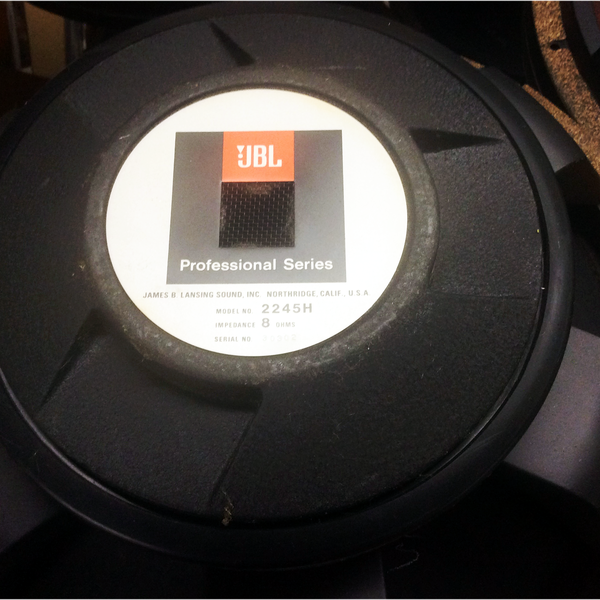 The JBL Model 2245H is a professional quality low frequency transducer designed for use in custom studio monitors or other applications requiring high sensitivity and power capacity, as well as extremely low distortion and extended bass response. 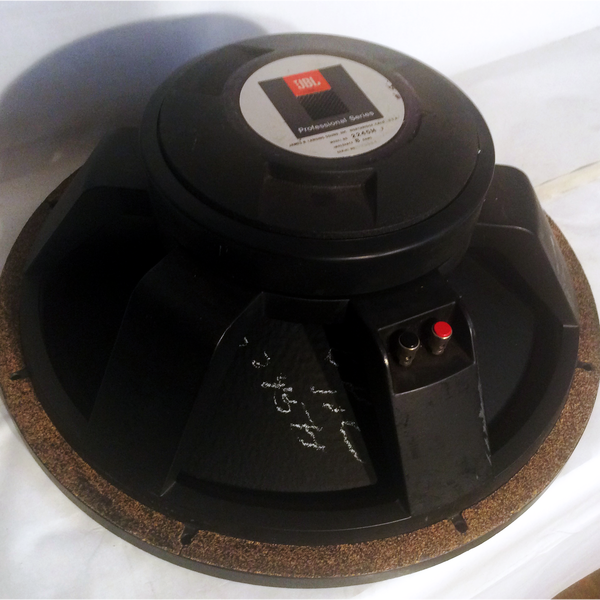 To achieve this performance, the 2245H incorporates a new diecast aluminum frame, integrally stiffened cone with foam surround, 100 mm (4 in)diameter edgewound copper ribbon voice coil, and individually machined magnetic pole piece and back plate. Additionally, the cone is coated with an exclusive damping formulation to ensure optimum mass and density. The 2245H also features a large, high flux, Symmetrical Field Geometry (SFG) magnetic structure. 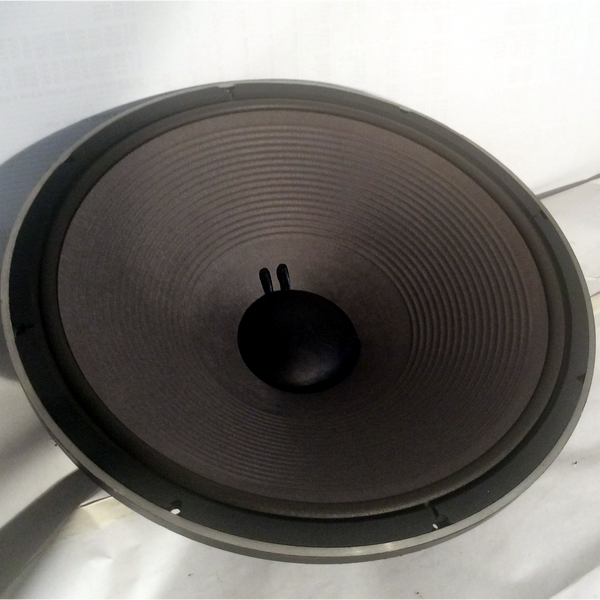 The SFG design, in combination with a Flux Stabilizing Ring around the pole piece, significantly reduces second harmonic distortion and provides exceptionally accurate low frequency reproduction. This motor assembly is optimally balanced with a 25 mm ( 1 in) long voice coil and carefully engineered suspension elements to allow maximum excursion linearity with complete freedom from dynamic instabilities.